In addition to guest posting on the UpCity blog, Avex Designs is featured as one of the Top Branding Agencies in the United States. Check out their profile here. Content marketing is nothing new – the concept has been around for years at this point. 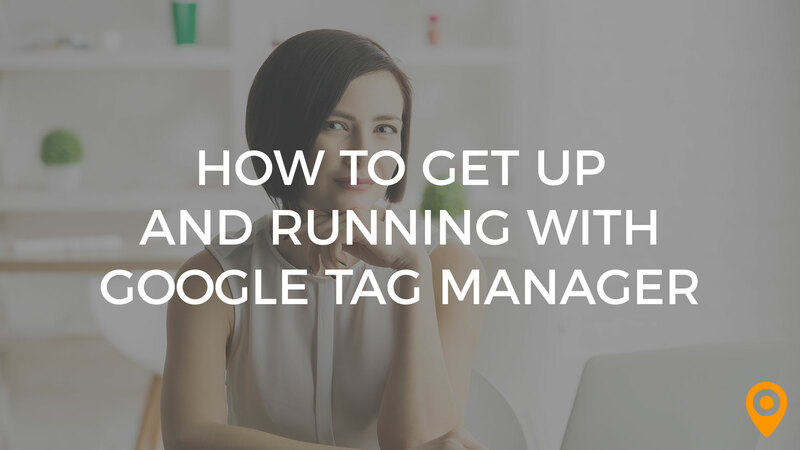 Because of this, it can be difficult to make your content marketing strategy feel fresh and deliver gains in the areas of brand awareness, traffic, sales, and more. However, you can’t afford to let your content marketing game lapse. The Content Marketing Institute reports that content creation is by far the most effective SEO technique. When you publish at least 16 blog posts a month, your business website will enjoy 3.5 times more traffic than competitors that publish fewer than five articles a month, for example. 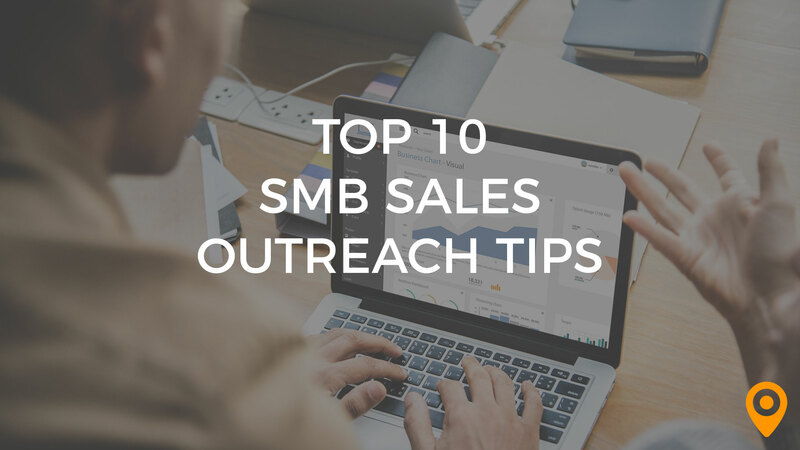 In addition, studies show that content marketing delivers three times more leads per dollar spent than paid search, and delivers three times as many leads as outbound marketing at 62% less cost. In other words, you need to make your content marketing count. How can you best leverage this portion of your marketing strategy to increase brand awareness and other conversions? Here are a few approaches to consider. 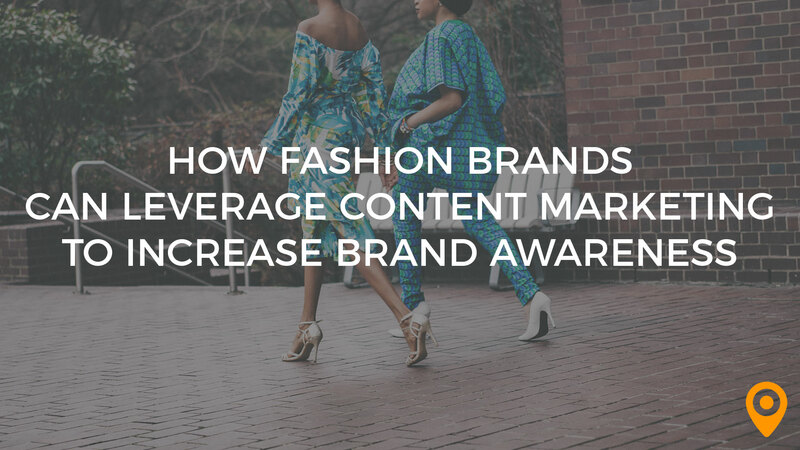 Understanding a consumer base is the heart of making content marketing work for your brand, and when it comes to fashion, this means selling consumers on a certain lifestyle, rather than simply selling products. Take for example women’s activewear company Lorna Jane. Their content marketing is image-heavy and features not only models wearing their products, but also an empowering message to women. Their content shows women living active lifestyles in their Lorna Jane activewear, whether they’re at home or out enjoying nature, and the brand encourage followers to share images of their own active lives with the ActiveLiving hashtag. Their blog contains posts about healthy living, confidence, food, fitness, and more, tying in to their other social media hashtag, #MoveNourishBelieve. The brand is catering to a certain type of woman and showing her how to reach her goals and become her best self, with the help of Lorna Jane. They’re selling a lifestyle that just happens to center on quality activewear. What is it consumers are looking for these days? With the growth of online and mobile shopping, customers have come to expect conveniences, including speed, value, and ease of interactions. Although content marketing is designed specifically to avoid hard-sell situations, that doesn’t mean you can’t use it to benefit consumers and your brand by contextualizing content to facilitate patronage. There are several ways to do this. For example, you might want to create content that caters to specific geographic regions where you have fulfillment facilities so that you can offer same-day deliveries on new and relevant products. Also, providing content that helps to educate the audience about the industry or product you are trying to engage them with is a time-tested method of building engagement while providing something of tangible value to your audience. If your goal is to sell sewing equipment and accessories, why not create an exhaustive guide about the best beginner sewing machines that educates your readers while directing them to engage in a purchase? Including interactive content is another way to boost engagement and increase sharing, brand awareness, traffic, and sales as a result, and there are plenty of recent examples to get your creative juices flowing. 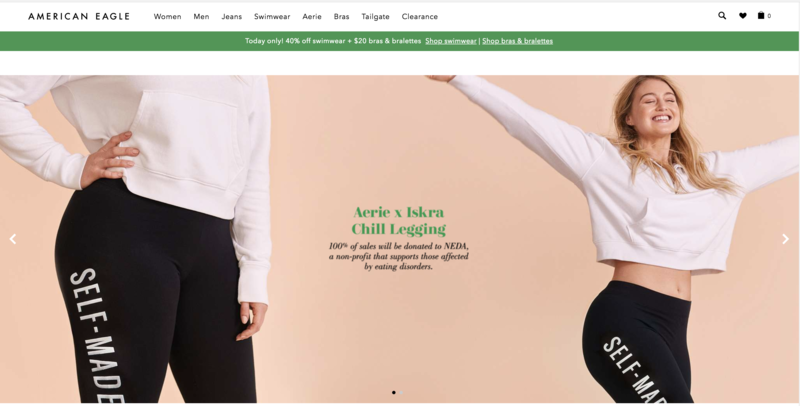 Shoppable content, in particular, is a great way to add value while still sneaking in your sales pitch and increasing branding opportunities, not to mention adding convenience for consumers. One great example of this is the Kate Spade Miss Adventure series of short films featuring celebrities like Anna Faris, Anna Kendrick, Zosia Mamet, and more caught up in humorous scenarios. These videos prompt users to watch other episodes in the series or click through to landing pages where they can shop the clothing and accessories featured in the videos. 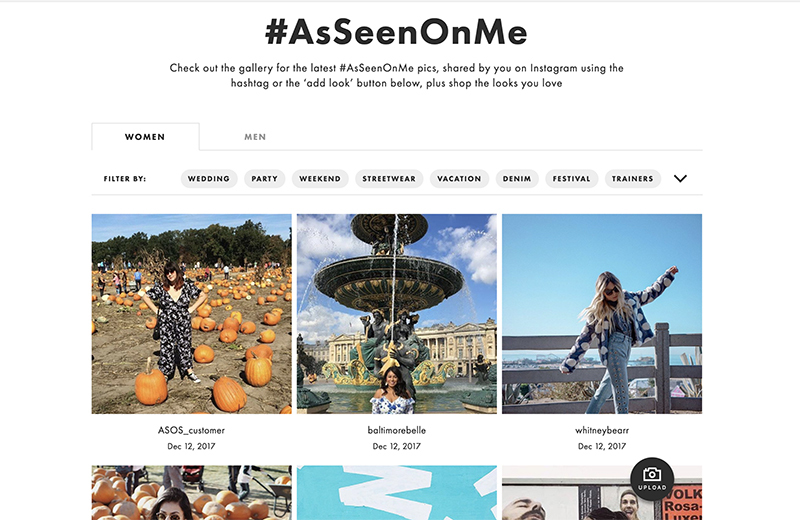 Another good example is the ASOS #AsSeenOnMe campaign that asked patrons to post their own pics dressed in ASOS fashions and tag them under the hashtag. Afterward, company curators adding landing page info for relevant products and reposted the pics on Instagram so that consumers could shop the looks after seeing them on peers. 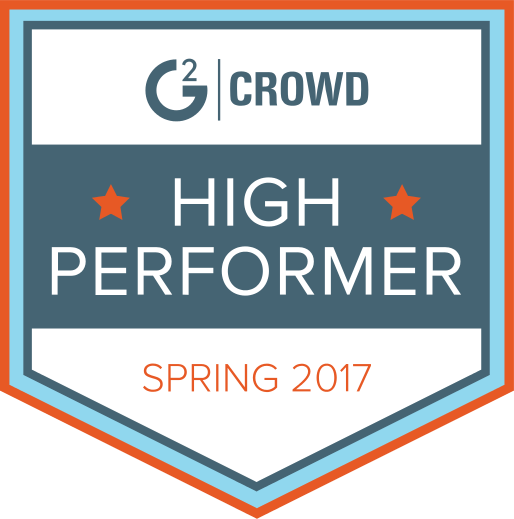 This strategy amped up user engagement and provided shoppers with what amounted to trusted peer reviews of products. Interactive content not only increases brand affinity, but also sales potential, and it is ideal for the image-heavy world of fashion. It’s one thing to seek out and hire social influencers to promote your brand to their legions of followers. It’s something else entirely to create and support brand ambassadors. Both will help to legitimize your content marketing and make it more relatable to consumers, who are more likely to trust peer recommendations over self-serving marketing efforts. However, using content provided by patrons to expand awareness and increase conversions like traffic and sales has the bonus of encouraging engagement and lasting relationships with customers. Finding ways to elicit user-generated content as part of your content marketing strategy is a great way to engage and grow your audience. Consider, for example, the “I _____ in #myCalvins” campaign launched by Calvin Klein in 2015. Ads featured celebs like Kendall Jenner (I am strong in #myCalvins, among others) and Justin Bieber (I flaunt in #myCalvins). Not only did photos of celebs in their skivvies spread like wildfire and result in new Instagram followers (roughly 3.6 million), but the brand also encouraged patrons to post their own photos and declarations of what they did in their #myCalvins, prompting 4.5 million interactions in the span of just four months. Then there’s the #AerieReal campaign. It started with the brand vowing to use only images of models that weren’t retouched, in an effort to celebrate women’s real bodies and stop setting unrealistic standards for consumers. Then the brand promised to donate $1 to the National Eating Disorders Association (NEDA) for every user Instagram post of an untouched bikini photo with the AerieReal hashtag. The result? Vehement approval and a 20% growth in sales revenue for the 2015 fiscal year, followed by 32% growth in the first quarter of 2016. When brands encourage consumers to participate in the content creation process in unique ways that tap into audience sentiments and preferences, it can only help to increase brand awareness, followed by traffic, lead generation, and sales. With the help of a creative digital agency you can formulate the content marketing strategy that’s best suited to engaging your audience and growing your brand. With over 15 years of experience creating for the web, you learn to shift and adapt with the ever changing digital landscape. I started my career in the "pre iPhone" era, prior to the mobile revolution, but made sure to focus on new technology and contemporary design throughout my years as a creative professional. Holding positions within companies such as Strategic Group, allowed me to build my network and portfolio, as well as work with global brands such as Lacoste, Absolut and Coca Cola. 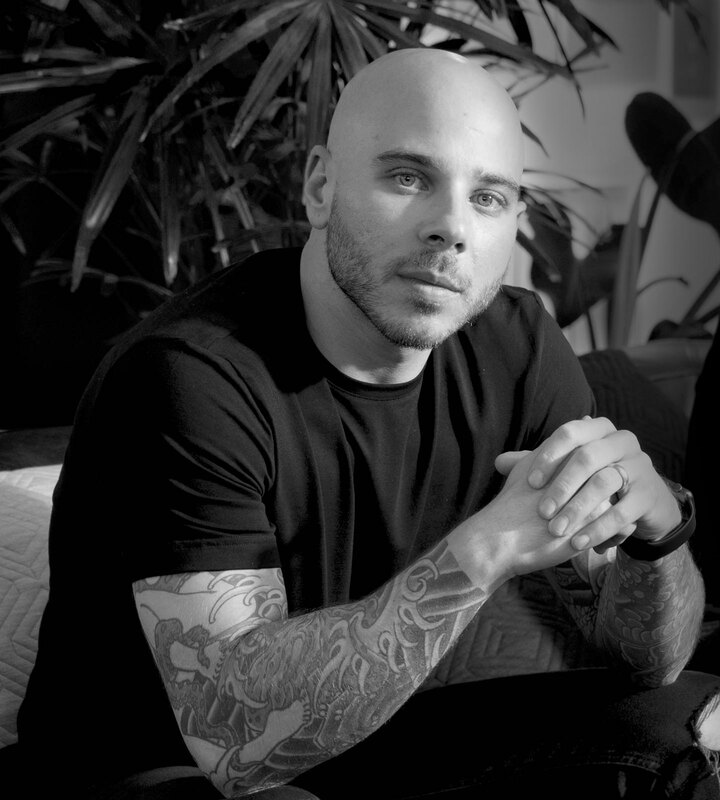 Throughout the years I've consulted for companies such as: JWT, Havas, Campfire, Monster.com, Estee Lauder, BBDO, NBC, MRM Worldwide, Nickelodeon, MTV Networks and many other New York based companies. In 2013, I grew my "one man freelance business" into a boutique agency, with experience partnering with major brands, including: Google, KITH, Cantor Fitzgerald, Iconix Brand Group, PONY, Starter, Roccawear, USANetwork, Cinemax, HBO, UBISoft, Sony Music and Bank of America. Today, I continue to act as creative director and founder (among other titles) of Avex. I've applied my vast experience and ability to adapt to creating a business that I am immensely passionate about. I love working with other creatives, building my team and taking on new challenges.